Our office has done special events the exact same way for years. Once our staff finishes an event and we have little or no time to evaluate how everything went before we are moving on to our next event. I have some ideas of how special events could be improved at our institution, but I can't do everything myself and I'm concerned that directly voicing too much criticism will damage my day-to-day working relationships. Whether your institution executes a wide array of events each academic year or a few, an outside assessment provides a valuable perspective. Our strategic review process allows you to re-think your organizational structure and your use of resources to better maximize efficiency and quality in your ongoing event planning work. We conduct focused interviews of your key stakeholders, from your special events staff to the wider staff at the academic institution with whom the events staff interface, such as staff in cultural affairs, media, and the grounds and food service staff. We also conduct research on peer institutions to provide information on how they are structured, what services they supply and how they supply them. Following our information gathering, we will construct a detailed report of our findings and recommendations based on our over 20 years of experience in the event planning business and knowledge of industry standards. We will meet with you to go through the report and assist in devising an action plan in moving forward with the recommendations. Important to Note: Besides the considerable time involved, a key benefit of hiring an outside company to do this assessment work is that we can act as a buffer; individuals tend to be more honest and candid with someone with whom he or she does not need to worry about maintaining a good ongoing working relationship. 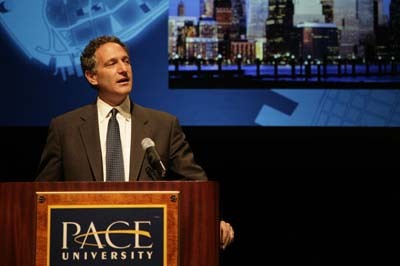 Expert Events has worked with Pace University for a number of years. One service we have provided is a full strategic assessment of their special events office. During this process, we conducted interviews with staff within the office and those who utilized its services. We provided a complete analysis of staff effectiveness and efficiency of a multi-campus distribution of staff. We also reviewed the space reservation procedures and made recommendations for implementing an on-line system. To conclude, we provided a detailed report in which we presented the results of our research and offered three possible reorganization structures to increase efficiency and effectiveness.